This is the second phase of an earlier NGN gas mains replacement project, which was completed in May 2018. 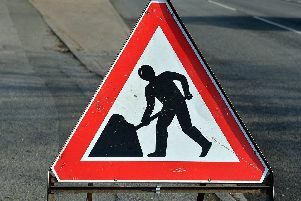 The works are due to start on Monday 15 April and will last around 10 weeks. They are a continuation of NGN’s ongoing development of infrastructure in the area and involve replacing 400m of existing metal gas mains with more durable plastic pipes, to ensure the continued safe and reliable supply of gas to customers for years to come. Read: Could this crumbling Queensbury building soon be made into a stunning new home? This project has been planned in conjunction with Calderdale Council, to take place at a time which will not impact the ongoing improvements to the A629 Halifax Road, in order to minimise disruption to customers and commuters. Due to the complexity of the engineering works involved, and to ensure the safety of our teams and members of the public during the project, it will be necessary to introduce traffic management during the scheme. From Monday 15 April until 23 June, Wakefield Road will be closed in both directions from the mini roundabout connecting Wakefield Road and Stainland Road. Traffic will be diverted along Bolton Brow and via the A629 from Halifax, and NGN and Calderdale Council are currently liaising with Urban Traffic Control to understand how traffic signals along the route can be adjusted to accommodate the increased traffic flow. Stainland Road will become one-way from Monday 15 April until Sunday 23 June, with traffic directed via the A629, and motorists able to use the first or second slip-road off the A629 depending on destination. To ease traffic flow around Elland Bridge, Saddleworth Road will be made one-way with access from the Elland Bridge side. Traffic travelling from the West Vale side will be diverted into Elland and back round onto Elland Bridge. A fully signed diversion will be in place for all motorists. It’s expected that journey times will be increased because of the traffic management, so all motorists and commuters are advised to leave extra time for travel. NGN is liaising with WYPTE and local bus operators to develop revised bus service routes during the works, in order to minimise impact on commuters. Through a partnership with Metro, NGN will provide a free shuttle bus linking West Vale to Elland during this time. Bus users can check for changes at www.wymetro.com and www.firstgroup.com, and local bus stops will also have information regarding the free bus service. Advance warning signs will be placed on the route two weeks before the scheme and NGN will be using the permanent directional signs to direct traffic as much as possible, and reduce the amount of free-standing signs along the routes. Where this cannot be achieved, signage will be put in place to direct traffic. NGN’s Customer Care team will be speaking to affected residents and businesses ahead of the works, and providing regular updates on progress throughout the scheme. Chris Nevison, NGN Business Operations Lead for Pennines, said: “After safety, minimising the impact of road works on our customers is our top priority. “To ensure commuters are disrupted as little as possible during the project and thanks to close collaboration with Metro and Calderdale Council we have arranged for a free bus service linking West Vale and Elland.